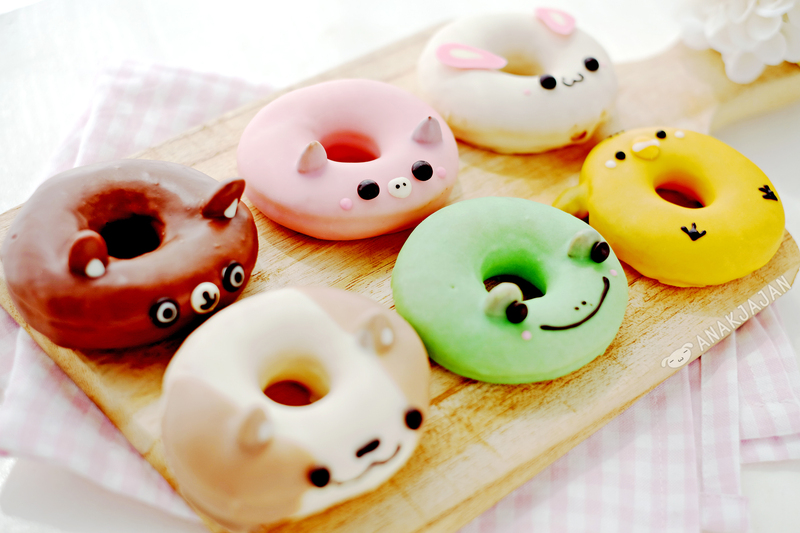 Kawaii overload!! 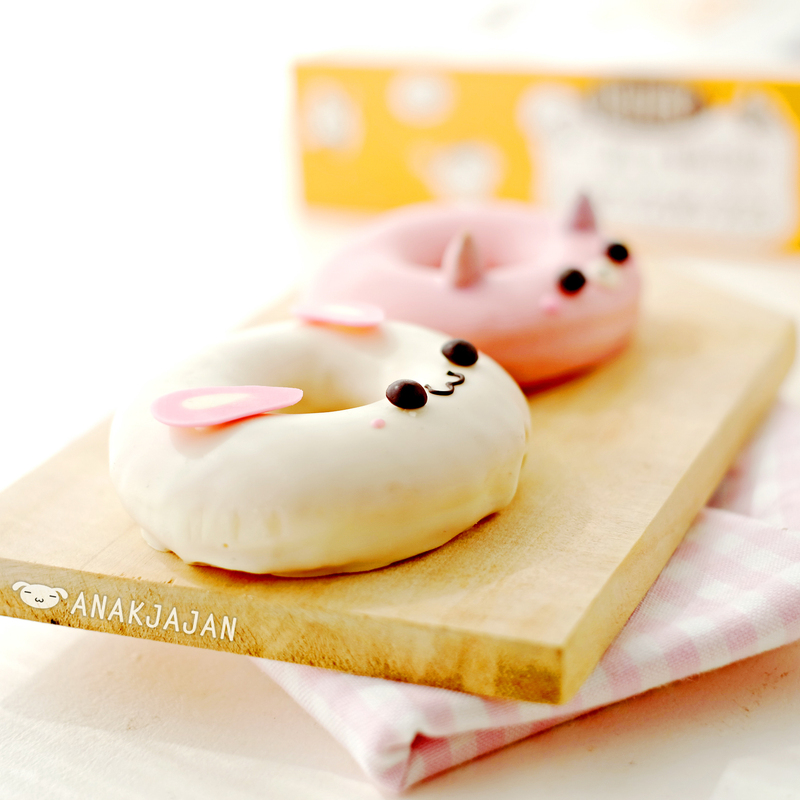 Beware of super kawaii photos on this post. 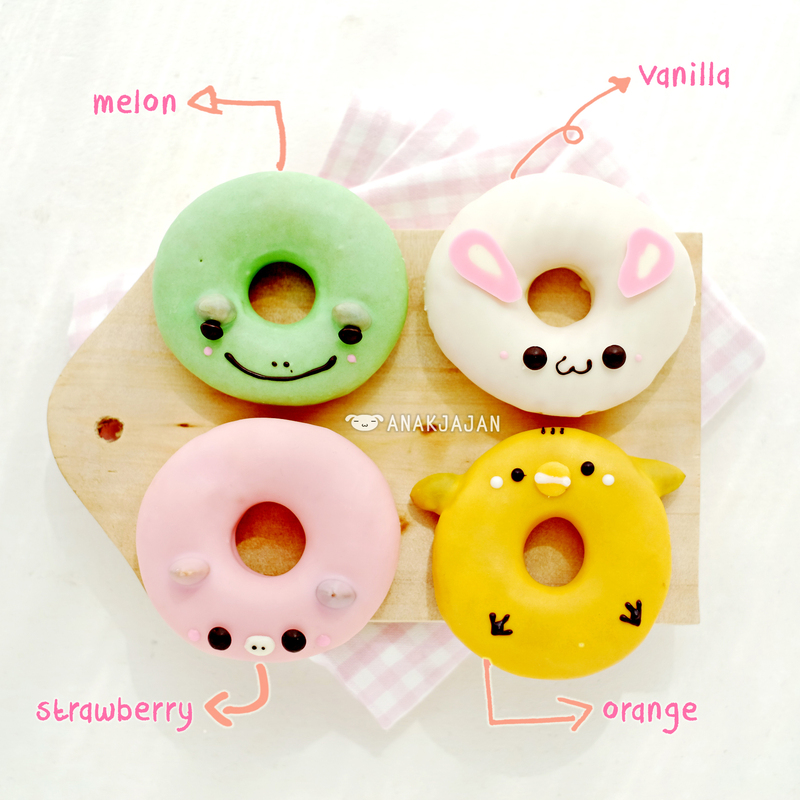 In Japanese, ‘Kawaii’ means cute, actually AnakJajan had saw this kind of cute decorated donut at Japan but we didn’t manage to found the store and try it and we are super excited knowing that now in Indonesia (Dobudon at Serpong) also available this kind of cute donut. So after we are back from our Thailand trip (lot’s of super interesting places at Thailand that we will share with you later), I immediately ask Mr. Jajan to bring me there. 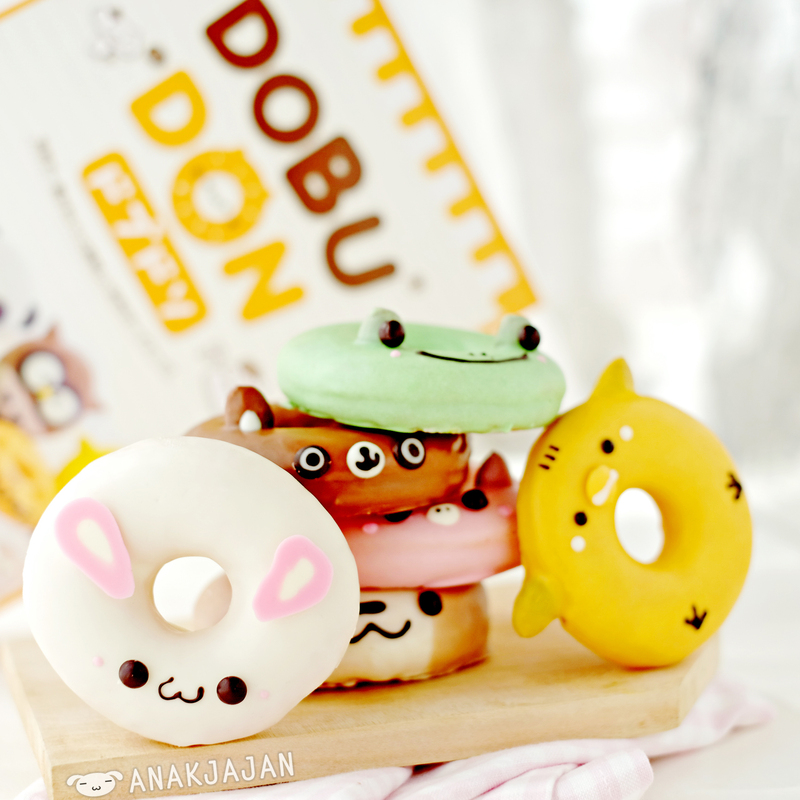 Dobudon specialized in donuts with cute animal design such as rabbit, owl, chicken, cat, etc. 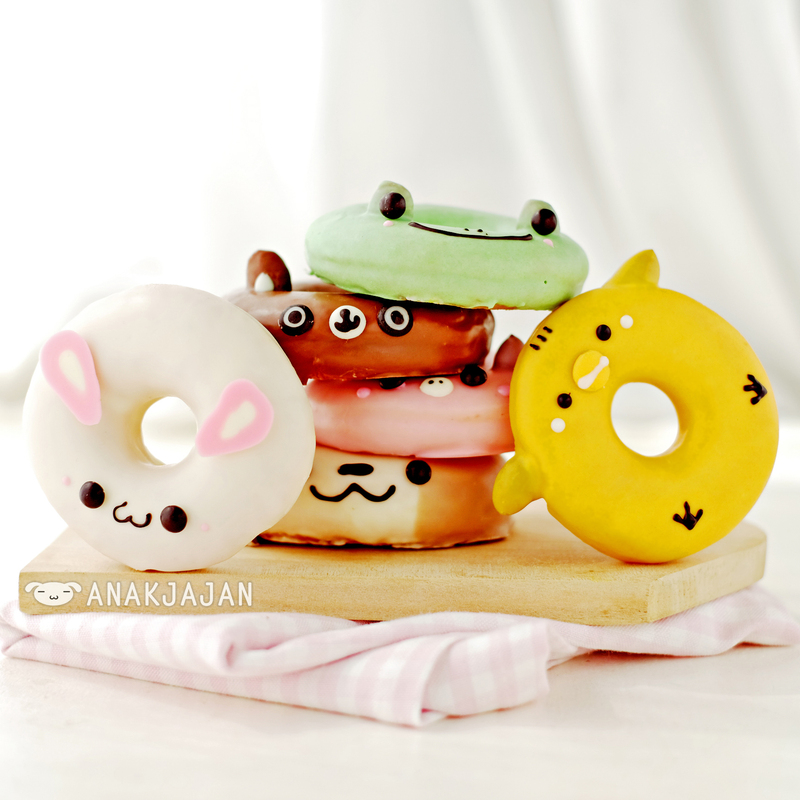 Each donut cost IDR 8.5k and currently they are having opening promo 25% donut discount until 25 August 2014. At this moment they only have one outlet at Summarecon Mall Serpong, it’s located at the second floor of mall near food court or new XXI entrance, this shop is rather small with 3 tables available to dine in. 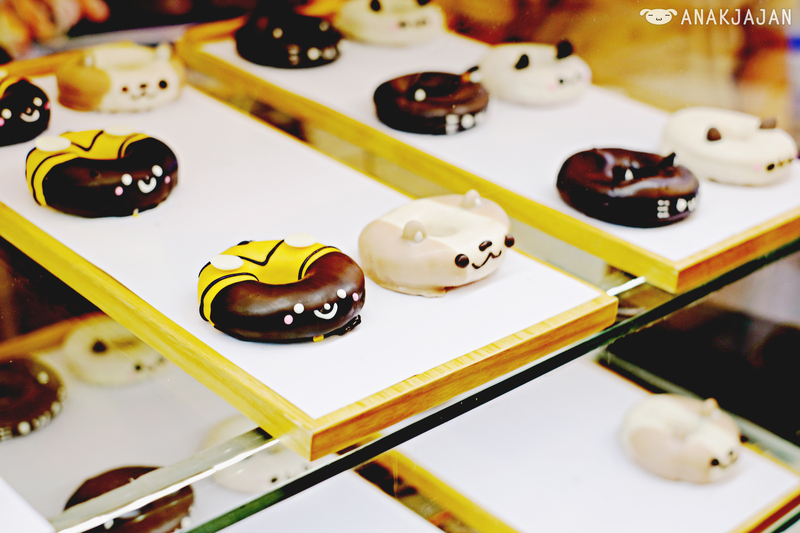 All of the donuts are covered with flavored chocolate such as vanilla, milk chocolate, strawberry, caramel, orange, melon, etc. 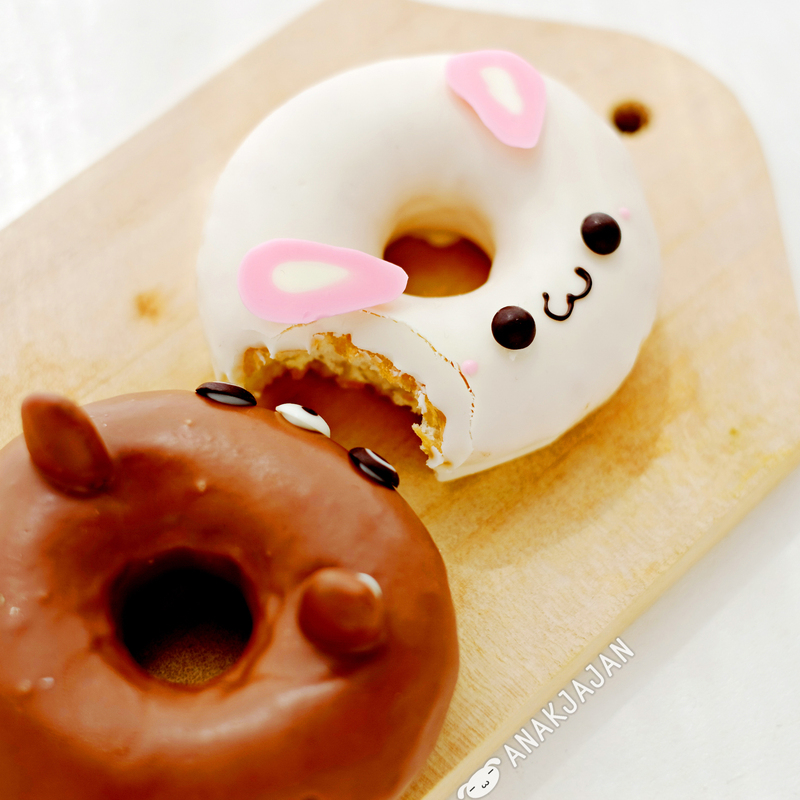 The donut was quite soft and fluffy. 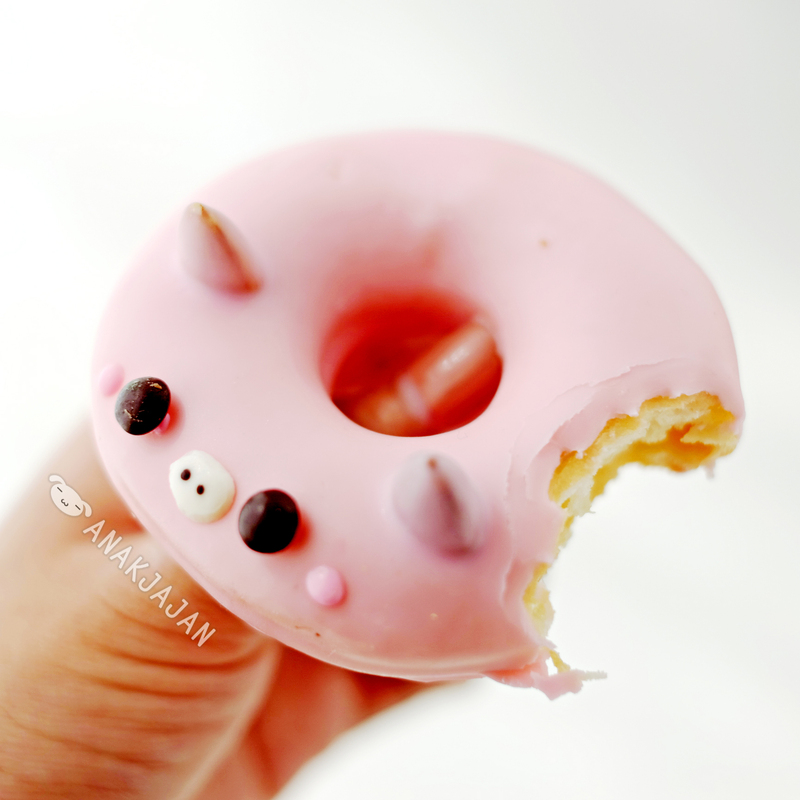 Overall, these kawaii donuts taste just okay, but on the other side it does look super cute, eye catching and totally instagenic (instagram photogenic). Let’s Jajan!! 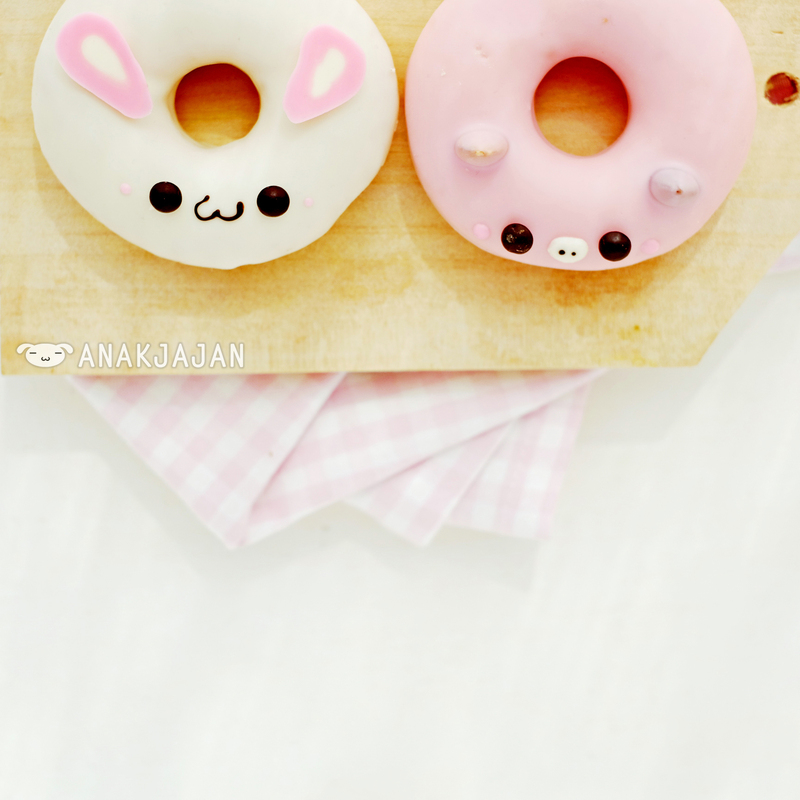 Donat nya emang instagenic banget 😉 thanks banget, artikel nya bikin mupeng 😉 anyway, harga donat nya berapan ya kak? 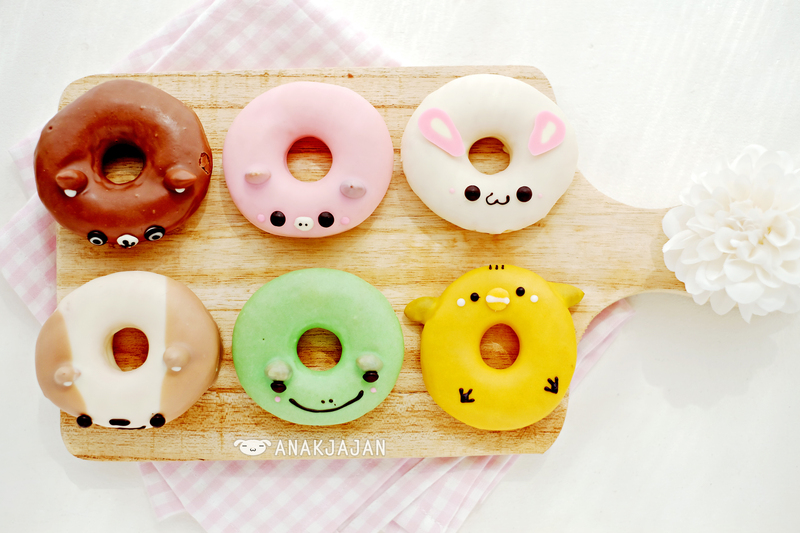 Yummy.. Enak banget keliatannya. Asik, promo 25% lagi. Jauh amat tapi ya di Sumarecon, ada info tempat lainnya? THX bgt infonya anak jajan.. haha. Oh my God it’s super cuteeee !! Rasa apa yang paling recommended ? Cute!!! Rasa yang kaya orange n melon berasa, Jul?